Two teenagers waiting for school buses were robbed in separate incidents in Windsor and Wethersfield. More communities are on alert after a pair of attacks this week on kids at bus stops. 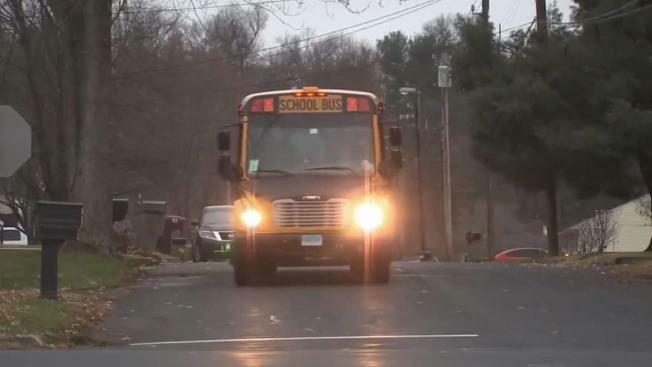 Robbers struck students waiting for their bus in Windsor and Wethersfield. Now other cities and towns are urging parents to be on guard. “You want to make sure they’re okay at the bus stops because you never know who’s just going to pop up,” said Brittany Armatino of New Britain. Armatino is a little more worried about sending her girls to the bus stop in New Britain these days. “I’m having friends and family watch out with them on the bus or even if they’re walking,” said Armatino. On Wednesday, Windsor police say a 14-year-old boy was robbed, pushed down and slapped while waiting for the school bus. On Monday in Wethersfield, a 13-year-old middle school student was beaten and robbed also at his bus stop. Now other towns and cities are urging parents to be careful. “We sent the letter out just as a precautionary measure, thinking about safety,” said John Fergus, Hartford Public Schools spokesman. Fergus tells us the note encouraged parents, if possible, to make sure students are supervised or at least not alone at bus stops. “Again, just a reminder. Let people be safe regardless. If there are any concerns, see something, say something,” said Fergus. Those tips were echoed by the Manchester superintendent Matt Geary. In South Windsor, police suggest parents talk with their kids about staying safe, as officers pay more attention to bus stops. It’s all leaving parents on edge. “We got to be careful with our kids,” said Victor Ramos of Hartford. Anyone who has questions is urged to contact their school district.